Hello lovelies! 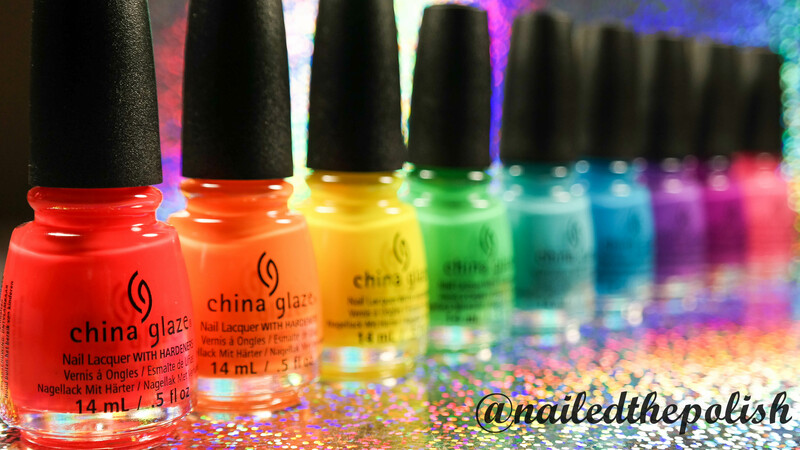 Today I have for you swatches of China Glaze‘s Summer 2015 Electric Nights Collection! 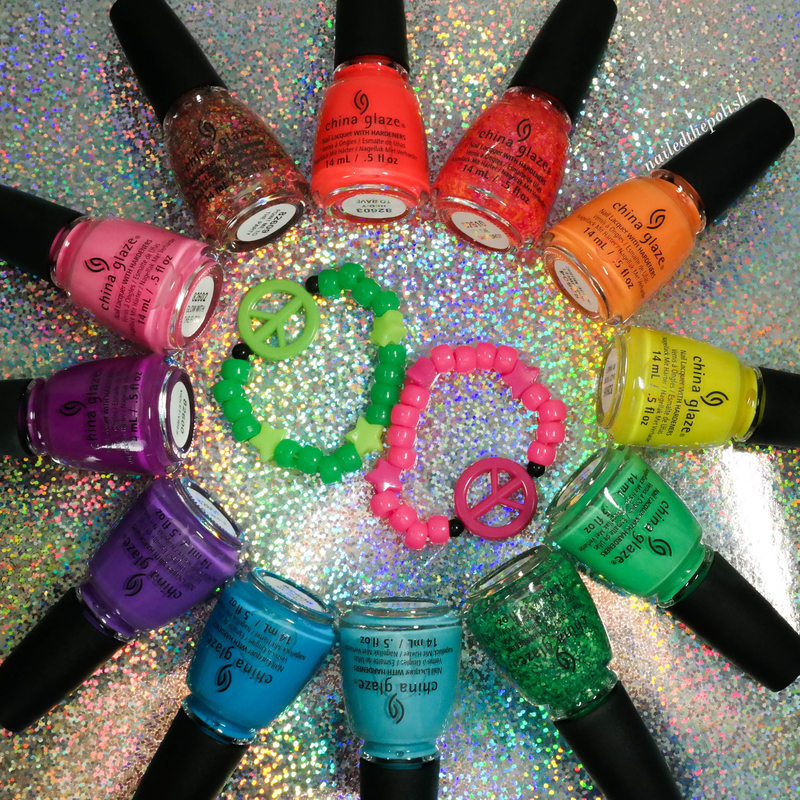 This neon collection consists of 9 cremes and 3 fun glitter toppers! Let’s get on to the swatches shall we? All swatches were taken under indoor lighting. Daisy Know My Name? is a bright yellow creme. Shown here is three coats with top coat. Alone this polish is more of a sunshine yellow than your typical neon yellow. I’m sure that layering it over white would accentuate the brightness. Formula was a bit streaky and sheer the first coat or two, however, compared to other yellow polishes I’ve tried in the past, it’s actually not too bad. I was contemplating a fourth coat but decided to leave it at three. DJ Blue My Mind is a medium bright blue creme. Shown here is two coats with top coat. This is the darker of the two blues in this collection. 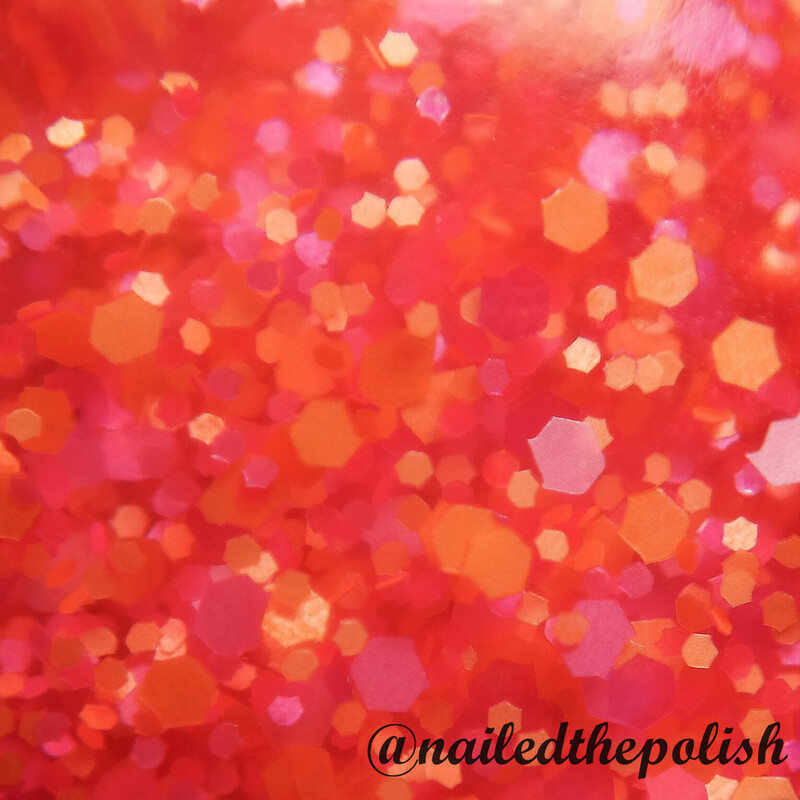 This polish has a great formula and was almost opaque in one coat! I’ve read some reviews in which this polish caused intense staining but I did not experience any with the base coat I use (American Classics Yellow Stopper). Glow with the Flow is a neon pink creme. Shown here is two coats with top coat. If you are a fan of the color pink, you need this in your collection! I had no issues with the formula and I think the shade is wonderful. So wonderful that I think I have a new go-to pink polish! Home Sweet House Music is a bright orange neon creme. Shown here is two coats with top coat. Although this is one of the brighter polishes in the collection, it’s not your typical fluorescent orange neon which I am actually happy about since I have so many of those. I had slight leveling issues because my coats were a bit thick so I would recommend doing 3 thin coats instead. Plur-ple is a vibrant purple slightly blue creme. Shown here is two coats with top coat. The formula was actually more crelly like than creme. I probably could have benefited from another coat but I felt like two coats gave me pretty good opacity. I really like this shade and to my happy surprise it was really easy to capture color accurate photos. Red-y to Rave is a suuuuper bright red (slightly orange) neon creme. Shown here is two coats with top coat. This baby is BRIGHT. It’s the definitely the brightest of the collection. 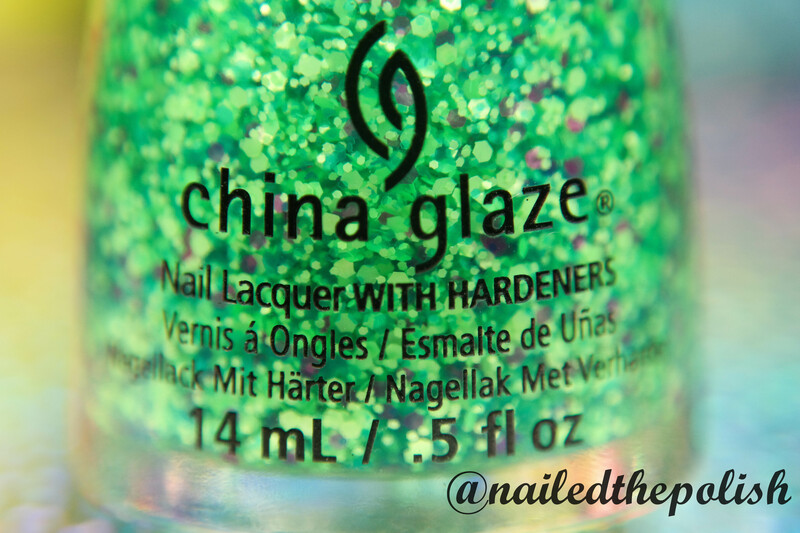 As soon as I saw it, it reminded me of Pool Party also by China Glaze. Although they are almost identical from the bottle, Pool Party is a little brighter and more orange than Red-y to Rave, however, the formula on Red-y to Rave is exceptionally better. This is another polish was was almost opaque in one coat. Treble Maker is a neon mint green creme. Shown here is two coats with top coat. This is my favorite from the collection! I absolutely LOVE the shade. I’m obsessing over mints at the moment and this one is just so unique. If you could only pick up one from this collection, this one would be it. UV Meant to Be is a bright sky blue creme. Shown here is two coats with top coat. This is the lighter blue in the collection. This polish is FANTASTIC. The formula was amazing! I was expecting it to be streaky and patchy but oh boy was I definitely wrong. This is another polish that will become one of my go-to’s. Violet Vibes is a bright violet creme. Shown here is two coats plus top coat. Like Plur-ple, this too was more crelly than creme. I probably should have added a third coat but decided to stick with two. Although it is a little sheer, the formula is nice. Can I Get an Untz Untz? is a cool-toned neon hex glitter topper. 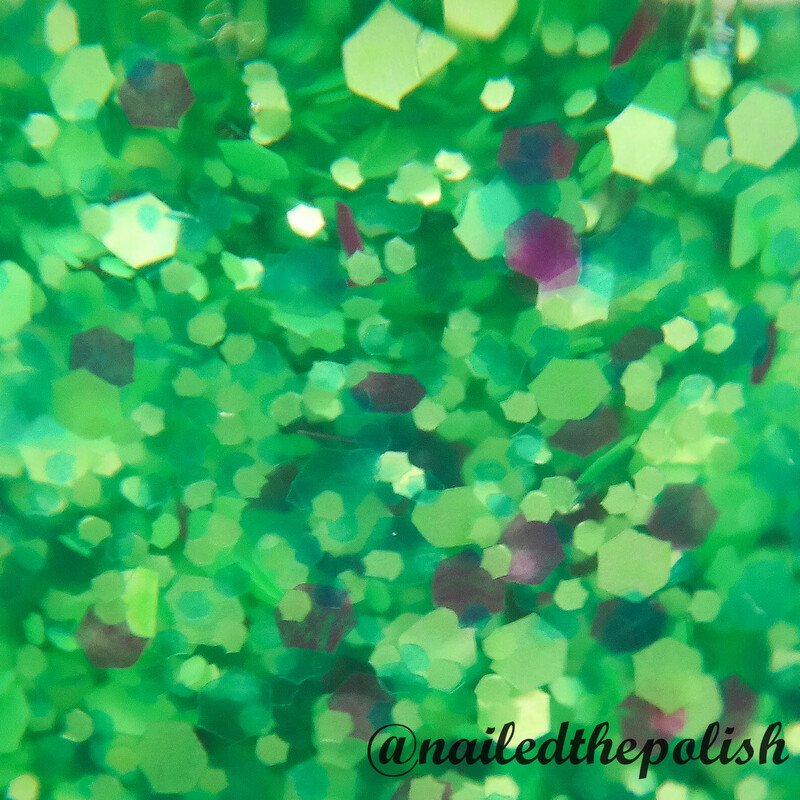 There are a mix of neon green, aqua, blue, and violet glitters of different sizes. Shown here is one coat dabbed over violet vibes. For some strange reason, when I applied this glitter topper it completely transformed my base color and made it darker! Here it looks like I layered it over Plur-ple instead. There is a bit more base in this polish than I would like but since there are so many glitters packed into the polish I didn’t have to do much fishing. Definitely recommend wiping off the excess base before applying onto the nail. Let the Beat Drop is a warm-toned neon hex glitter topper with neon orange, pink, and purple glitters of various sizes. Shown here is one coat dabbed over Home Sweet House Music. This topper has the same kind of base as the previous one so again try to get rid of as much base as possible before applying to the nail. Even though I had to dab this polish on the nail, I still think it’s a fun glitter topper that’s perfect for the summer! You can really see the different sizes and colors in the macro. 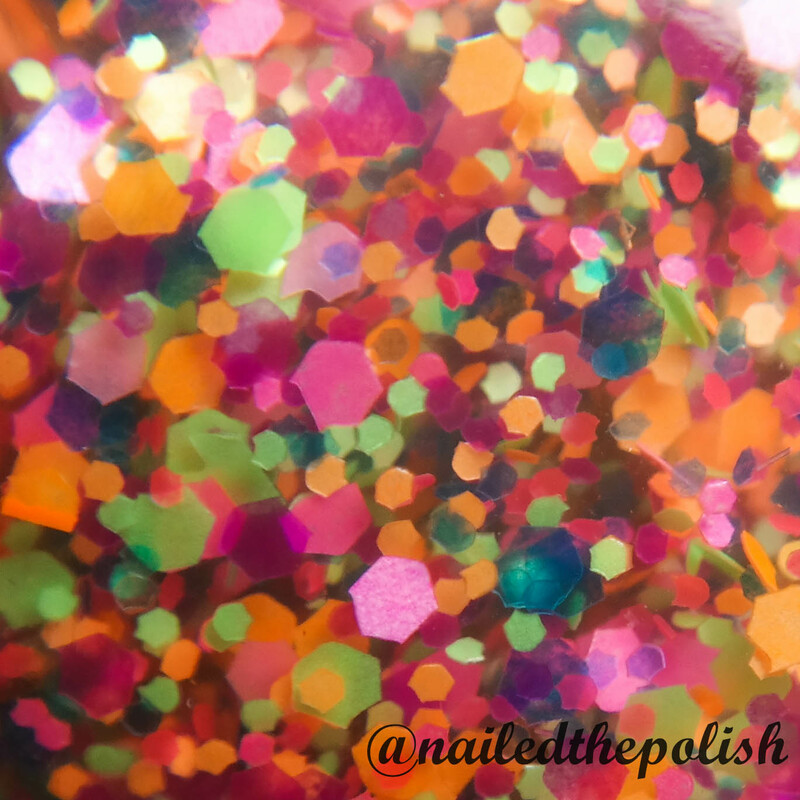 Point Me to the Party is a multi-colored neon hex glitter topper. 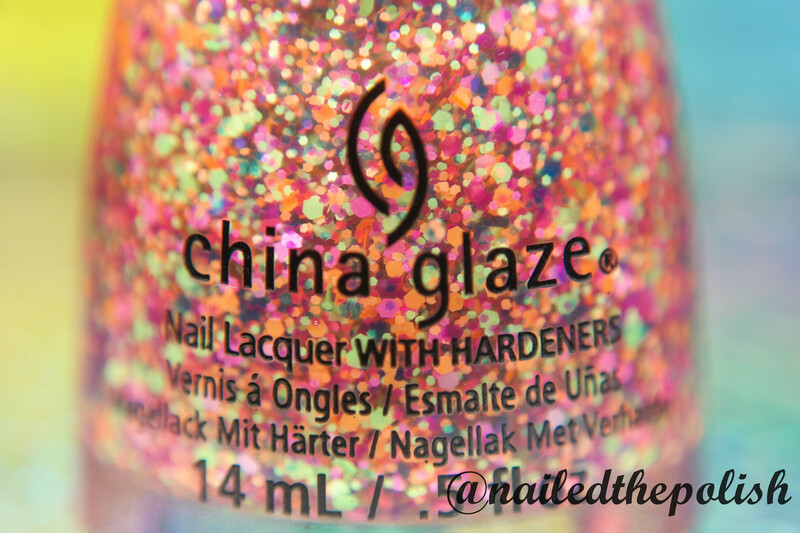 This one has a mix of yellow, orange, violet, green, aqua, and pink glitters also of various sizes. Shown here is one coat over Treble Maker. Of the three toppers, this is my favorite. It has the best formula – the clear base in this is not as overpowering or thick – and it has the perfect mix of rainbow neon glitters. This one would look great over any color! No need to point you to the party… you’re already here! I was so excited when the press release for this collection came out. 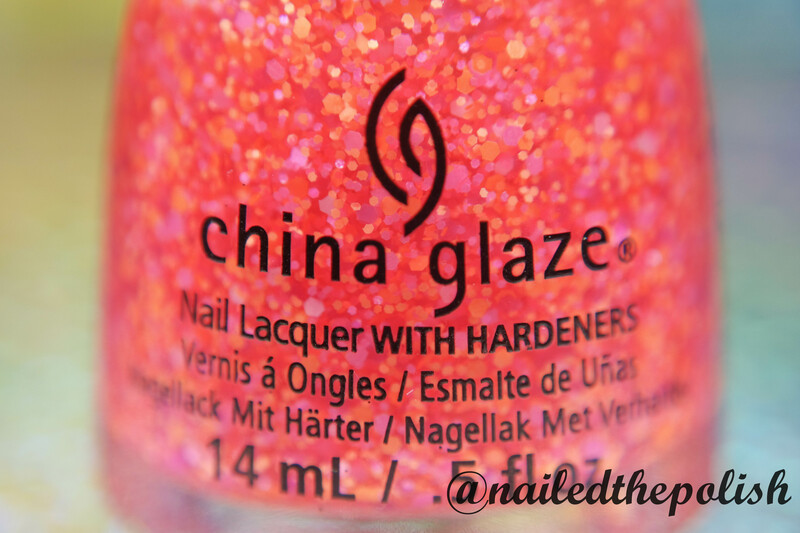 I was left wanting more with China Glaze’s Summer 2014 Off Shore collection and Electric Nights has filled that void! While the formulas aren’t consistent, none are deal breakers. The neon lover in me wished they were brighter but when I compare them to other summer neon collections I have, I’m glad they aren’t. A lot of these shades are new to my polish collection which is a surprise since many of the polishes I own are brighter colors. I also forgot to mention that all of the cremes watermarble VERY well, they also stamp, and all the cremes glow under black light! My favorites would be Treble Maker, UV Meant to Be, Red-y to Rave, and Point Me to the Party. Yes they are perfect for summer! Thank you!